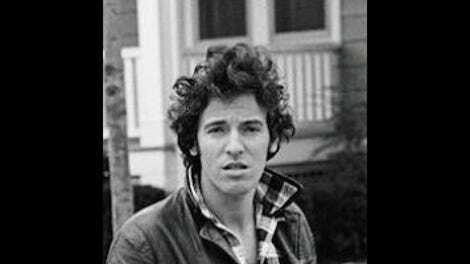 Bruce Springsteen is one of the last avatars of a bygone American type: The rock ’n’ roll superstar. Despite borrowing most of its poses and mythmaking from the Brits (who had pilfered their own influences from America previously), the rock icon is ingrained in American folklore, be it Elvis, Bob Dylan, or even David Lee Roth. But while Dylan ran (or more accurately, spurned) the mainstream crown, and Roth eagerly clutched it as long as humanly possible, part of Springsteen’s appeal has always been the way he seemed to do both at once, playing the part of both poet-artist and genial everyman, larger-than-life mystery and song-and-dance man. That split identity was key in allowing him to earn fans from all walks of society—someone plainspoken and good old boy enough to become the exemplar of white working-class America, while also demonstrating enough talent and artistry to gain the respect of the elite cultural community. It also earned him detractors, those who claimed he affected a pose of all-American folksiness as a way to cash in. And to hear him tell it, everybody’s right. “I know I’m good but I’m also a poser. That’s artistic balance!” he says almost halfway through Born To Run, his autobiography. “In the second half of the twentieth century, ‘authenticity’ would be what you made of it, a hall of mirrors. Put on the work shirt, young man. No big deal.” He’s always been hyper-aware of the image he’s constructed, but he views it as a compact with his audience, not a scam. If they’ll let him adopt this rock ’n’ roll mantle, he’ll tell the stories he thinks they both want and need to hear. And he’ll do it with one of the best backing bands on the planet. Springsteen’s book is the written equivalent of one of his legendarily lengthy stage shows. It’s a massive tome that will never be long enough for the fans (and probably seem a bit indulgent to naysayers), but carefully orchestrated to deliver rising and falling action, quiet moments of reflection and explosive passages of excitement, all laid out with the come-hither exhortations of a born performer. And at more than a few points, it leaves them wishing the words had musical accompaniment, as passages sound engineered to be shouted into a microphone with the passion and energy of a carnival barker, or possibly a tent-revival preacher—which, in his live act, is a fusion the musician often embodies. At points, this can scan a bit clumsy on the page. Springsteen occasionally falls into the mistaken assumption that all-caps generates the fireworks in a book, rather than the language itself. “More ‘get down in the gutter, spit on me, Jesus, teach my blind eyes to SEE’ REAL-LIFE RELIGION! !” he says in a section describing his youthful awakening to the power of rock. “Most of all, we would want more ROCK ’N’ ROLL! !” (Double exclamations included.) At such points, the need for bombast overcomes the words, like an effusive blog post. And at other times, he’ll lapse into clichés and worn aphorisms, like a raconteur on an old neighborhood porch, telling the children to gather ’round while he holds court. One early chapter about the nature of life in his working-class New Jersey hometown of Freehold ends with a generic, “…coming or going, heaven or hell, here on the corner of Randolph and McLean, it’s just all in a day’s work.” These colloquialisms sprout up throughout the book. His life story, as he sees it, unfolds in a series of harrowing family struggles that gradually shape him into the magnetic but damaged adult he continually worked to improve. Early sections reveal an obsession with his father that biographers have often returned to, but in his own voice, the ways the elder Springsteen’s dismissive and borderline abusive treatment of his son formed Bruce’s attitudes about women and the world gain a force that even Peter Ames Carlin’s masterful 2012 biography of the artist couldn’t quite land upon. The patriarch provided Bruce with a model of how not to behave, but in becoming a friendly and charismatic inverse of his father’s taciturn (and, it’s eventually revealed, mentally ill) silence, the young musician develops a wanderlust and avoidance of emotional attachment that would plague him well into his second marriage to E Street backup singer Patti Scialfa. His voice comes across honest and self-deprecating, but it’s illuminating what he breezes past or leaves unsaid, and those spots shape his narrative just as much as his intimately recounted stories. The nearly two-year legal wrangle with former agent Mike Appel, during which his post-Born To Run career stalled as he was prohibited from releasing music, is seen as a source of intense frustration and sadness in the minds of many of his biographers. Here, the shutdown is discussed like it was a carefree summer of drinking and drive-in movies, a gauzy memory marred by the end of his friendship with Appel, yes, but also an acceptable way to pass the time. He takes full responsibility for the mess of his divorce, but it unfolds in barely one page. And the multi-year period of writing and releasing 1992’s Human Touch and Lucky Town—surely a compelling story—doesn’t even merit a single passage. Like life itself, the book lingers within the early years, and as time passes, years and events begin to churn by faster and faster, only stopping to explore singular moments or unexpected situations, like the political uproar over “41 Shots.” But some of the most potent moments reside in the final chapters, as Springsteen exposes a late-in-life struggle with depression that is as revealing as anything in the previous 450-plus pages. The artist’s forthrightness in confronting such vulnerabilities speaks to his lifelong commitment to rendering personal stories in vivid and affecting ways, his penchant for populating his music with striking characters now turned on his own life’s pains and pleasures. There are surely stories left to tell, but Springsteen, in his endless quest to craft the perfect setlist, has selected those that best fit his narrative. Even with this excellent effort in revealing the most human and exposed parts of himself, the Boss wants to put on a great show. 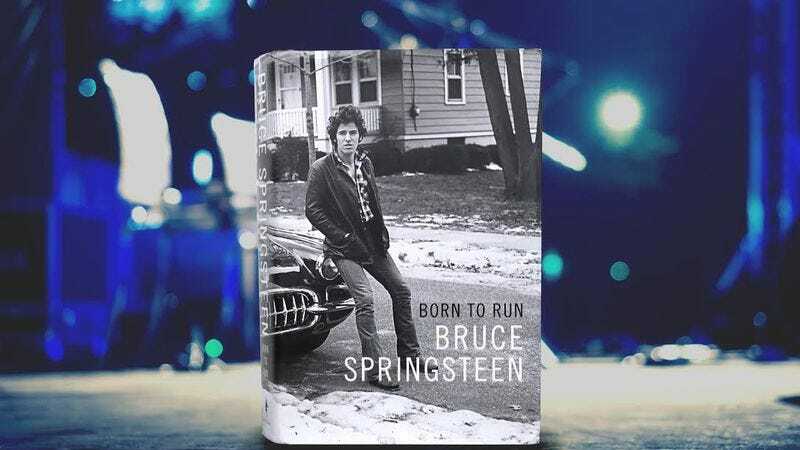 Purchasing Born To Run via Amazon helps support The A.V. Club.